G’Day Melbourne | take your marks. go. Today is my first proper day in Melbourne – I’m discounting yesterday, purely because I was preoccupied with unpacking, trying to negotiate adaptors and voltage and just finding ways to stay awake in a desperate bid to avoid chronic jet lag. Largely consisting of Tinder and Grape Fanta. My insides feel purple. So today, I’m doing it properly. I’ve been to the Prahran Market and got myself sorted with veggies and bacon, got some fresh pesto and some dinosaur pasta, so dinner tonight is going to incredibly fun. Picked up some essentials from ‘Priceline’ (a mash up between Superdrug and Boots) and got my first Australian loyalty card. My flat is really nice, although I have no real comparison, having not seen where anyone else in Australia lives, but it seems nice, I’m definitely glad I chose an apartment over the hostel. Not actually been into the CBD yet, just had a wander around South Yarra – this afternoon I go in search of my new favourite coffee hole and Chapel Street. The flight wasn’t too bad. Singapore airport is still one of my favourites – I went and played in the Butterfly Garden near my gate upon arrival and then spent the rest of my layover watching the Koi carp in the fish pond. I’m not sure what to report, just yet. I’m settling in, but my job doesn’t start until next week – it’s strange getting used to such a different city and country, all on my own, and it’s an internal battle to leave the flat and go and explore, because if I get lost it’s entirely lost, a different kind of lost to at home. In England the streets sprawl around each other and if you lose your way, most places are essentially circular, you can cut through an alley, find a beautiful little shop or cafe you never knew existed and carry on again, but everything here is on a grid. It’s left or right, which i’m hopeless at anyway and if you get lost there’s no cutting through or finding a new way, there’s just left and right and wrong. I’m doing alright at the moment, but I don’t think in such a linear way – it’s hard to get my head around. The weather, thus far, is glorious, however it is supposed to rain this afternoon, we’ll wait and see. 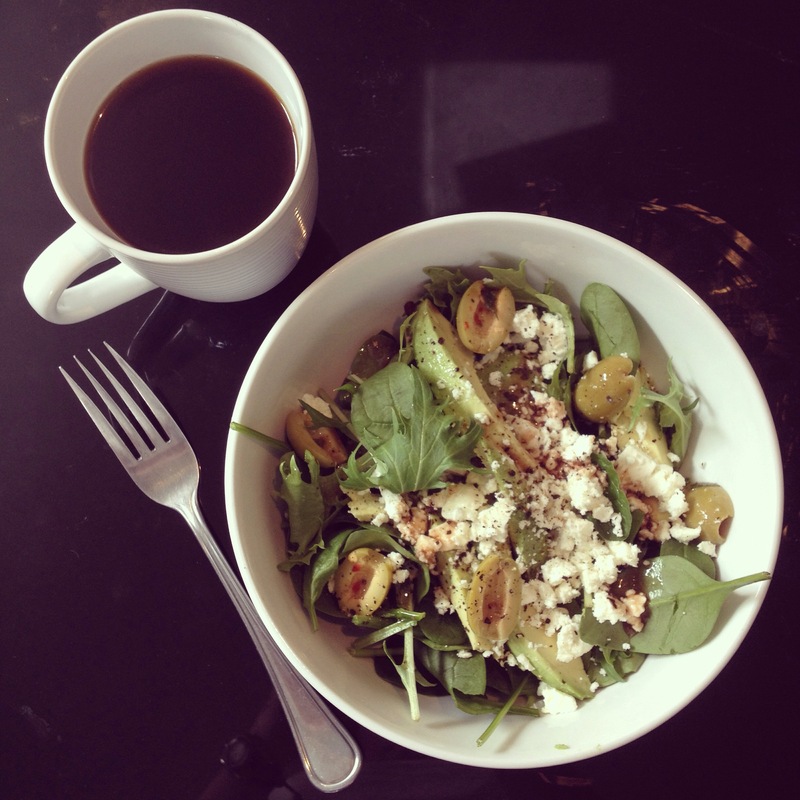 Right now I think I’m going to make myself and avocado and feta salad and a coffee and sit on the balcony.